Place the flour in a Ziploc bag. Add the beef and shake to coat, making sure each piece is covered in flour. Heat a cast iron skillet (or large sauté pan) over medium-high heat. Add the oil. Brown the beef on all sides, about 8 minutes. Transfer to a paper towel to drain. Place the beef, potatoes, carrots, onions, and thyme in the slow cooker. 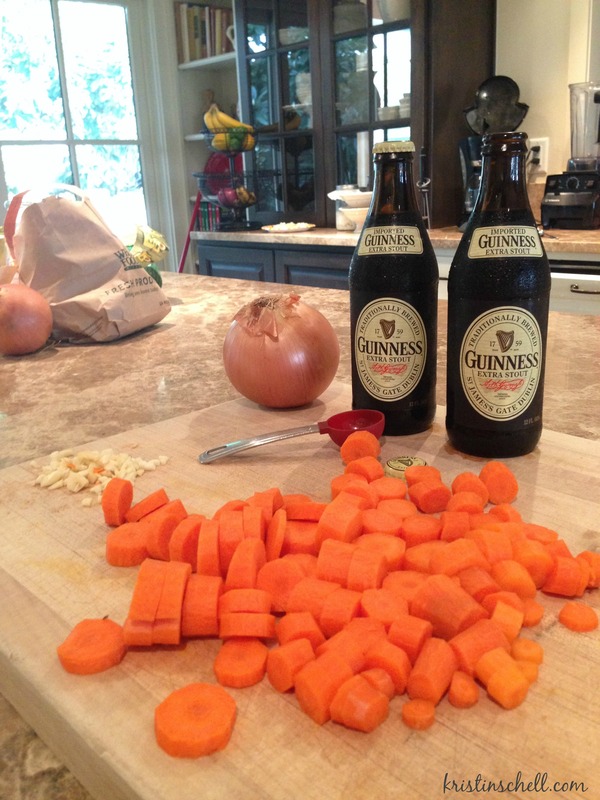 Pour the Guinness over the top. Cover and cook on low for 8 hours. Season with salt and pepper.